While many people use the two terms interchangeably, they are not the same. There are some distinct differences although many of the symptoms are almost identical. In short, when a ligament is injured it is called a sprain. When a muscle or tendon is injured, it is called a strain. Tendons are cords of tissue made up of a dense network of fibers. They connect the muscle to the bone. A joint strain occurs then the tendons or muscles tear or overstretch. The lower back and hamstrings are the most common areas for muscle strain. Both injuries are very similar so it stands to reason that the symptoms of the injuries are also almost identical. This is why they are so commonly confused. Maintaining a hazardous environment at home such as clutter on the floor or things you can trip over or slip on. 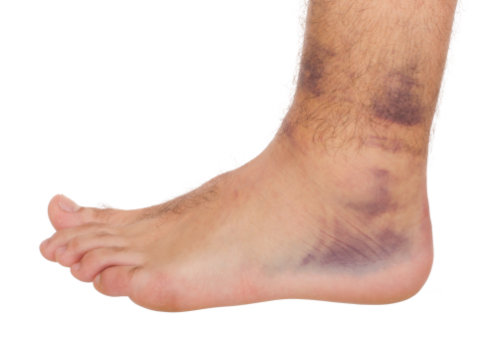 If you have a sprain or strain and notice that the swelling has not subsided or if you still have pain after a week or so, you need to follow up with your doctor to make sure you don’t have a more serious injury.